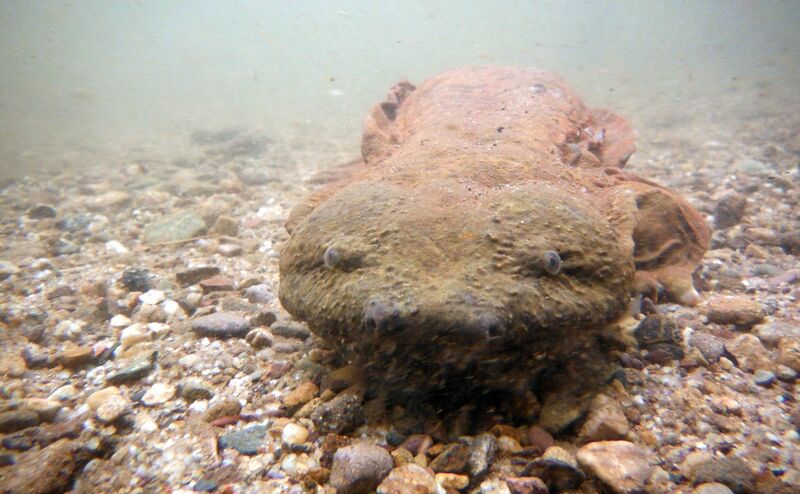 Although the hellbender has been identified as a Species of Greatest Conservation Need by the Northeast Association of Fish and Wildlife Agencies, there remain substantial data gaps in its distribution. The common mudpuppy shares a significant portion of its habitat with the hellbender, and has been identified as a Species of High Conservation Concern by the Northeast Partners in Amphibian and Reptile Conservation. Given the habitat overlap of these two species, efforts to detect hellbenders may concurrently generate samples or data that are useful in monitoring mudpuppy populations. Our primary objectives are to 1) better document hellbender distribution in the northeast region, and 2) develop standardized methodologies to monitor hellbender populations while collecting opportunistic information about mudpuppy distribution. 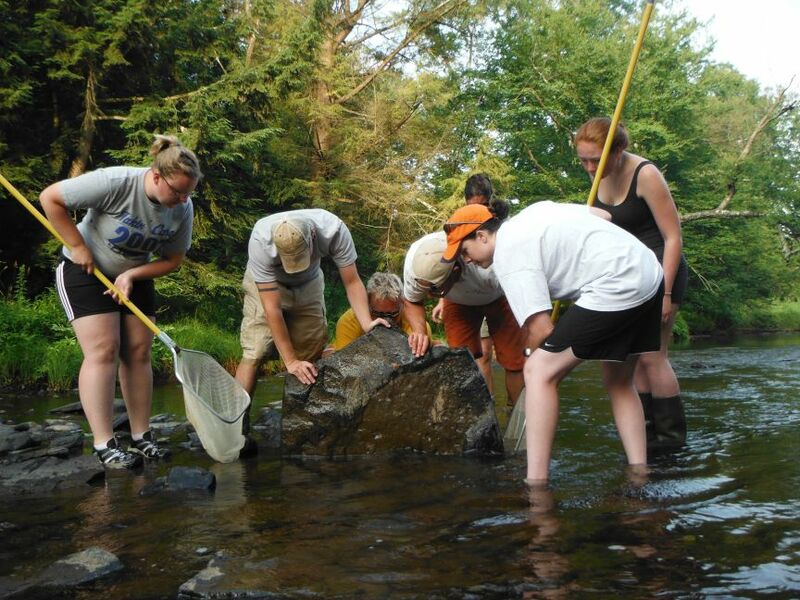 These objectives will be achieved through stream surveys (including environmental DNA detection), improved communication among individuals working with hellbenders or mudpuppies, and the establishment of a regional stakeholder working group. Within the first year of the project we will produce standardized protocols that ensure the consistency and efficiency of hellbender/mudpuppy surveys while minimizing disturbance of stream boulder habitat. 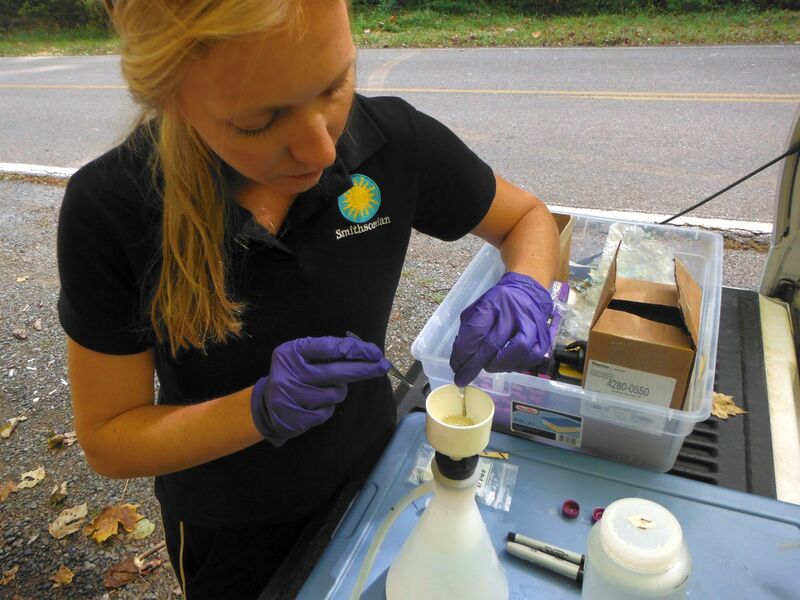 During this time we will also collect environmental DNA (eDNA) samples from a total of ~130 sites in NY, PA, MD, WV, and VA. Samples will be tested for hellbender DNA and archived for future DNA-based detection of mudpuppies or other stream species. In the second year, we will employ conventional surveys to ‘ground-truth’ a subset of eDNA sites. This approach will generate presence/absence data for a broad geographical area and information about abundance, demographics and animal health for a key subset of sites. Project deliverables include 1) a more comprehensive map of hellbender distribution in the northeast, 2) an eDNA archive (for detection of other stream-dwelling species) and 3) a protocol and communication framework to enable coordinated and efficient conservation of hellbenders and mudpuppies. This project was completed and the final report and sampling protocol are provided below.